Easter snuck up on me this year. I really don't like when it's so early...it feels like there's not enough time to get it all done! I just barely pulled out of a few of my Easter decor items. These eggs are my favorite. 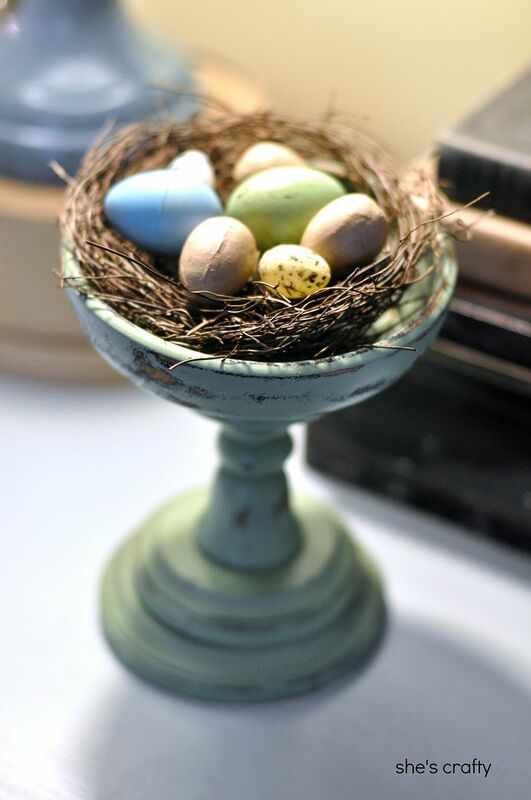 I bought plain white eggs from Hobby Lobby and modge podged green and white tissue paper to them. I also used old book pages. Nestled into the cage, I also have various colored (plastic)eggs. I also tucked some eggs into a nest on a pedestal. 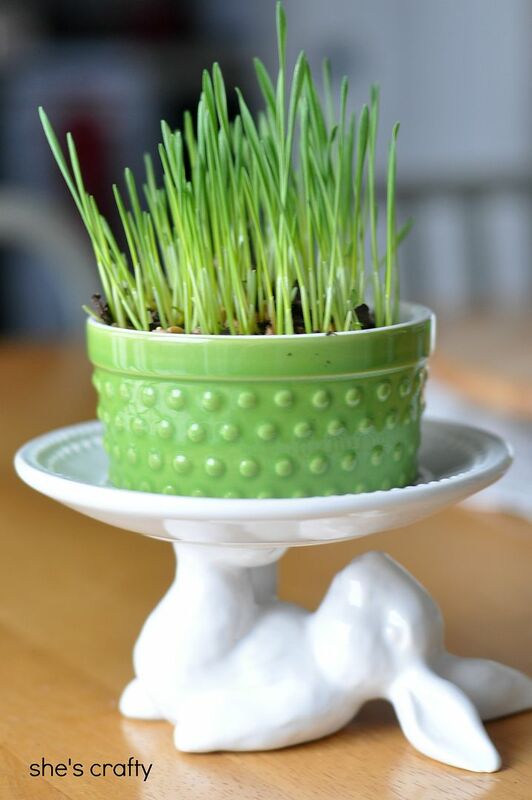 My most favorite thing to decorate with throughout the entire spring is wheat grass. I usually keep this growing right up until the summer. I'll do a post about wheat grass (and how simple it is to grow) soon! As for how we celebrate Easter, we have our little family's egg hunt on Saturday. My kids are very competitive so to combat this, each child gets one color of egg. That way, they are only looking for their own color and don't have to beat anyone else to the eggs. I fill each of their eggs with exactly the same things. My kids really aren't into candy or little trinkets, so this year I will fill their eggs with coupons- like 15 min later bedtime or a treat- and good old $$. I'm sure they will love it. I think it's perfectly fine to celebrate the fun traditions of Easter. But all this week our family has also been talking about the true meaning. It's the sweetest thing to hear my little 5 year old talking about Jesus, His death and His resurrection. May each of you have a wonderful and peaceful Easter!! I feel like Easter snuck up on me, too! I love how your mod podge eggs turned out! 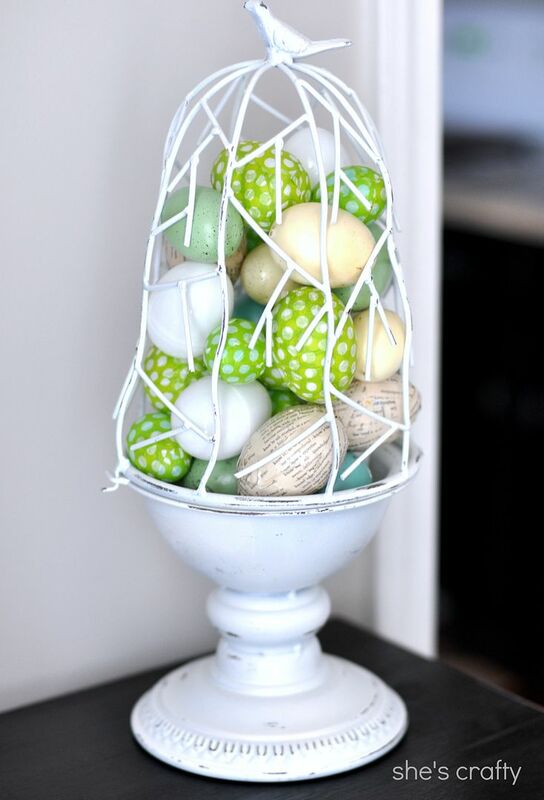 LOVE this cute Easter craft idea!